If you're looking for something entertaining and outdoors for the kids or the grown ups, Putt Putt golf is always such a good time. With a name like Putt Putt, I believe that implies, it's double the word therefore it's double the fun. I'm not the biggest fan of regular golf, quite frankly I feel it's a bore and moves extremely slow, but Putt Putt on the other hand, is far more entertaining. With quaint themes of pirates, space, jungle and more, a healthy amount of competition among friends and/or family and pint sized clubs (for the grown ups) involved, it sure does aim to please. A treasure of a place to putt putt, is Pirates Mini Golf in Warriewood. It has two large courses, both themed, one being "Caves" and the other "Shipwrecked", complete with pirate ship to play through. 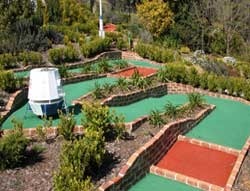 My other preferred place to putt is Dural Putt Putt in the Gardens. Somewhat more low key, but a very nice spot with views of the mountains and paddocks that surround it. It also has two 18-hole courses, with themes of "Camelot" and "Space Trek". Both venues have café/kiosks to grab a coffee and a snack at to keep your energy up. 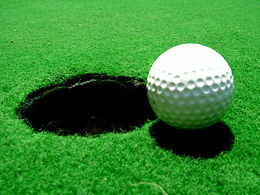 While I very much enjoy having a jaunt around these courses, I've found some other courses I've ventured to are a little lackluster, so if you know of somewhere to tweak the putting technique, do tell, where is the best Putt Putt Golf in Sydney?